our stockings are finally up and we're all bustling around the house trying to finish up last minute christmasy things. 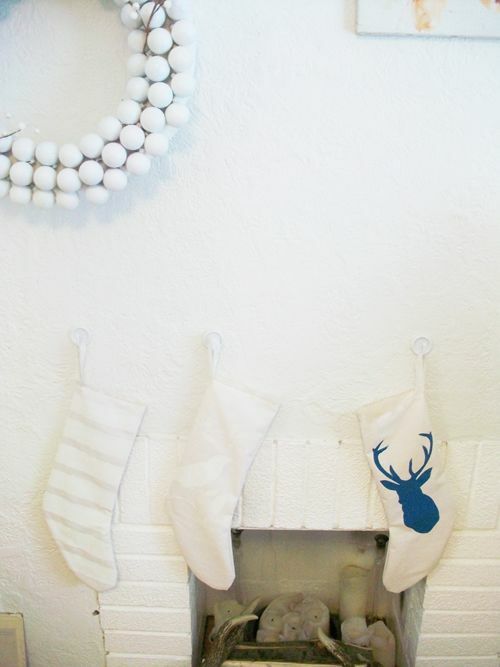 i decided to make our stockings this year...with a little linen and paint. my grandma stratton has always used the sweetest old handmade stockings at her house. they're all thin and falling apart with each name attached with masking tape that has lost its stick. i love them. i want to start that tradition here. the only thing they're missing is the tape. i hope everyone is having a lovely christmas week. matt brought me home peonies on monday. i couldn't believe he could manage such a thing this time of year. the house has the most amazing clash of smells...summer petals and christmas tree. i want to bottle it up. and him as well. your house is just so beautiful! 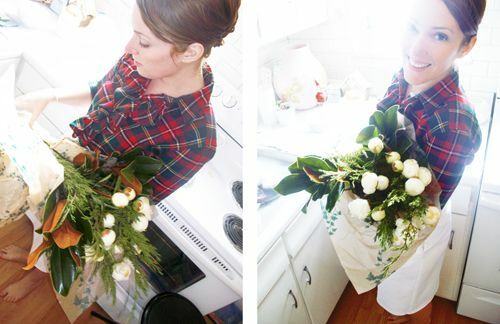 and look how lovely you look with your "christmas plaid" and that beautiful bouquet of flowers! can't wait for a week off from work! what a sweet gift... peonies are the loveliest. What flowers! Everything looks beautiful. And your sweet bare feet! Eep! Gorgeous blog! Hoping your Christmas is great! Hello, my dear Katie! I've been away from my favorite people online and have been trying to figure out how to get back into the loop of things and just decided to jump in! It looks like you are maybe living somewhere new? It's beautiful! 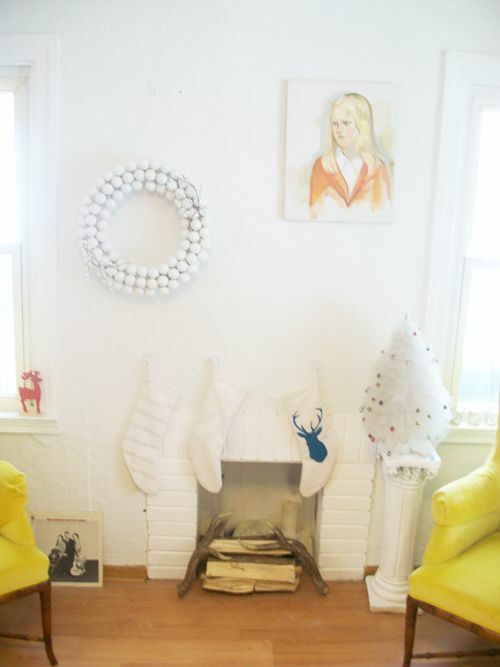 I love all the white, the hardwood floors, and that little fireplace! You always decorate so lovely! And peonies!! I LOVE those! What a super sweet thing for Matt to do! I hope you guys are enjoying this time of year! !